Last night in Sydney as the skies oozed with drizzle and commuters rushed home before the clouds burst open, a small gang of troublemakers came together to reflect. It’s been five years since the audacious launch of 1millionwomen by founder Natalie Isaacs and in this time the community has grown from one to 92,000 women. Not quite one million women, but well on the way. I first became involved as an ambassador of 1millionwomen when I was running the sphinxx Take The Lead programs and happened across the story of Nat’s vision: one million women coming together to cut one million tonnes of CO2 from the environment. Not by introducing new laws. Not by levying new taxes. Simply by asking women – who control over 85 per cent of household purchasing decisions – to think about their actions and to make some subtle changes. It makes perfect sense, right? But Nat admits she wasn’t always environmentally aware, having built a career around cosmetics and consumer products and excess packaging. “Then one day I had an epiphany”, she said. “Climate change was all about me, all about my family, all about the choices we make” and so she set about changing them. Since then, 1million women has grown into a thriving movement of women and girls, all firmly committed to a more sustainable future for our planet. Nat and her team have achieved global recognition for their work and been invited to share the stage with world leaders who all share the same commitment to improving the wellbeing of our planet and environment. 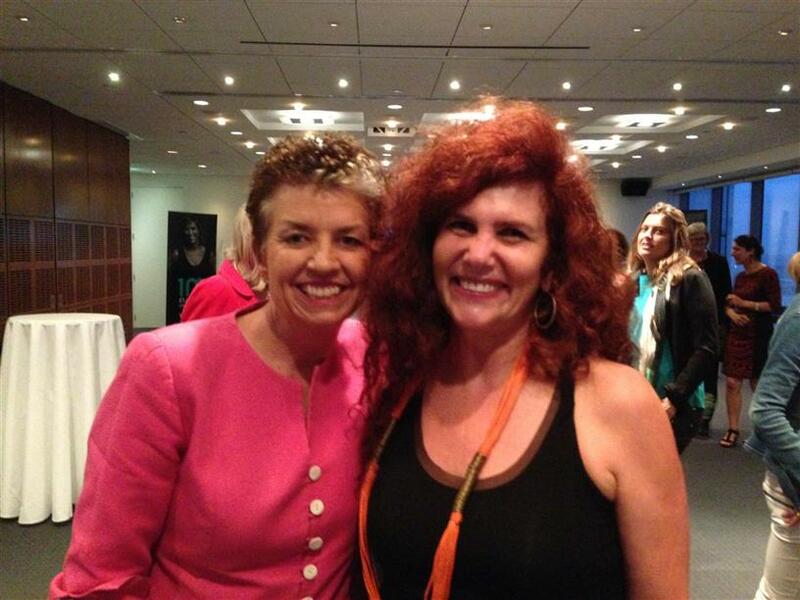 The first ambassador to get behind the 1millionwomen movement was Anna Bligh, then Premier of Queensland. Anna was there last night, recalling that first meeting with Nat, and her feeling that 1millionwomen would be a success. Why? “Because if you want real change in anything you need a few troublemakers”, and she was sure from that very first meeting that Nat would fit the bill perfectly! Truth is I’m sure we all have a bit of trouble maker within us and maybe that’s what spurred our fore sisters into action as suffragettes and change makers. 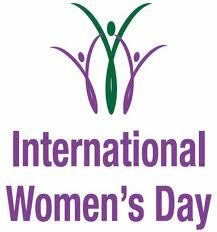 With only 8 days until International Women’s Day, how are you planning to mark the occasion? Will you step up and join in this global celebration of the contribution women make to our communities, our achievements, and the challenges we still face in realizing equal economic participation, educational attainment, health and survival, and political empowerment? “Inspiring Change” is the theme this year, and while a lot has changed since the early 1900’s when International Women’s Day first began women still have a long way to go in chasing equality (for a global comparison of how women fare check out the Global Gender Gap 2013 report here). While it’s always an option to hold your own private celebration at your work or home, I love love LOVE the camaraderie of attending an organized gathering to commemorate the day. Like the 1millionwomen event last night, it’s always fun to connect with friends, and many of the IWD events offer inspiring speakers who share their story of success. So if you haven’t yet organized a celebration for IWD… well you should! Unsure which event to attend? Don’t worry, there’s a swag of options here at the official International Women’s Day website to choose from. This year I’ll be supporting the following events and organisations (and maybe a few more!). If you’d like to come along, there’s still the chance (at time of writing) to book your tickets too. The UN Women International Women’s Day breakfast – on throughout the next week in Melbourne, Perth, Brisbane, Sydney, Adelaide and Canberra and a major fundraiser for the work UN Women does to across our region to achieve gender equality and empower women. A cocktail evening with Diverse Australasian Women’s Network (DAWN), a new network formed to encourage Australasian Women to engage and connect with one another, and the wider Australian community. The Australia Arab Businesswomen’s Forum – this is the perfect forum for those of you looking to do business internationally, with a host of discussions planned from a panel of speakers comprising respected international business and political leaders. So how about about you? Will I see you at one of these events, or perhaps you have another suggestion on an IWD event you think I should get along to? Let me know, the more the merrier and I’d love to hear what plans you’re hatching too!